The Sri Lanka Technological Campus (SLTC) has announced the launch of their management programs offering multiple degree pathways, representing many disciplines including, Accounting and Finance, Marketing, Supply Chain Management, Human Resource Management, Operations Management, and Tourism and Hospitality Management. 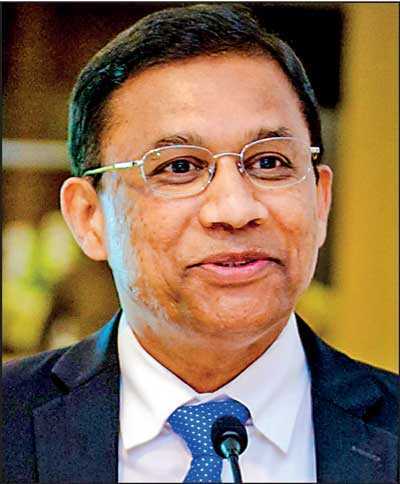 SLT (PLC) Group Chairman Kumarasinghe Sirisena, SLTC President/CEO Eng. Ranjith Rubasinghe, and National Economic Council Secretary General and Chief Economist Prof. Lalith P. Samarakoon, amongst many other industry experts and dignitaries expressed their views at the launch event. In unison all speakers agreed a growing need to present educational opportunities for Sri Lanka’s youth along with the right requirements for the relevant industry, and looking beyond the shores of Sri Lanka, to make them globally employable. They all held the view that well-structured, practical and applicable degree programs to suit all future requirements of industry, delivered on modern, non-traditional platforms, through respective industry experts would fulfil this requirement. It will also help the emerging graduates to be well versed with current global trends and be adept to adopt ever-changing trends. SLTC’s Business School has a range of industry-standard facilities, including a specialised IT and business library, contemporary study rooms and shared spaces. Further, the Business School maintains excellent links with the business community, that help ensure all management programmes being designed will suit the current needs of employers and also to provide exciting placement opportunities for our undergraduate students.